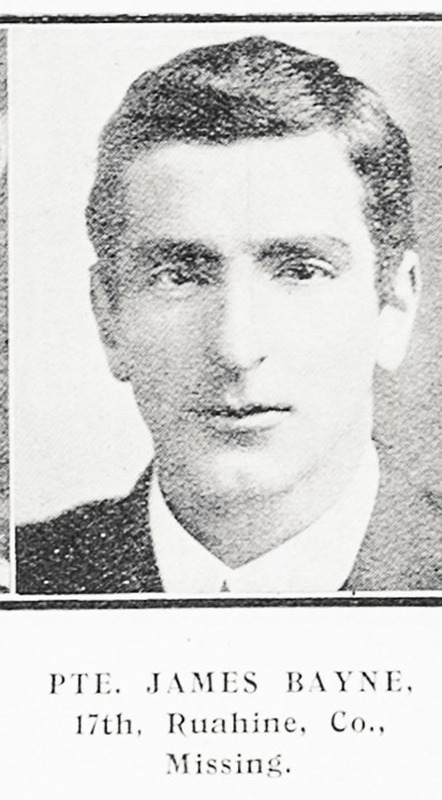 After little more than a fortnight fighting at Gallipoli, James Bayne was reported missing. His body was never found, but he left an important legacy. His diaries reveal the miserable situation he and the other young Anzacs found themselves in – their days spent dodging bullets, and their nights huddled in freezing rain. Image: Sir George Grey Special Collections, Auckland Libraries, AWNS-19150701-40-13 Quotes: Bayne, James, 1887-1915: World War One diary. Ref: MS-Papers-1418. Alexander Turnbull Library, Wellington, New Zealand. Hear dramatic narrated extracts from Bayne’s own writing. Private James Bayne landed at Gallipoli late on the evening of 25 April 1915. He kept a detailed diary of his wartime experiences. Bayne’s first impressions were that the Anzacs were experiencing heavy casualties. At 10.30 p.m., the torpedo boat took us within half a mile of the beach then we had to get into rowing boats and rowed within a few yards of the land, then we had to get out up to our knees in water. The first lot to land lost about half their men – the Turks were concealed in the scrub above the beach. The Australians had to jump out of the boats and charge with bayonets. They were very successful and drove the Turks back. The engineers made a trench for us and we stayed all night in it wet through. The Turks kept up a heavy fire all night. During the next night, 26 April, thousands of Anzac troops landed with artillery and ammunition. About 10 a.m. the Turks started shelling us with shrapnel. I got a bullet through my haversack but didn’t hurt me. All day the Turks kept up a heavy fire while the men-o-war replied with their big guns and silenced a lot of the enemy’s guns. On 27 April Bayne and his comrades were ordered to reinforce the left flank where the Ottoman Army was making a concerted effort to break through. At 8 we made a rush for the beach, dead and wounded were lying everywhere. Thousands of troops were concentrated on the narrow strip of beach and it made it very slow moving. We got round the foot of the spur on the left flank by 2 p.m. Conditions for the Anzacs were tough. Soldiers were mainly concerned with finding safe cover from fire, obtaining drinking water and keeping warm at night. I was sent with three others to find a kerosene tin each of water – snipers firing at us all the way. Had to dodge about the scrub and run fast on the clear patches. Had a terrible rough night – raining and bitterly cold, no blankets or overcoats. On 5 May the New Zealand Infantry Brigade was transferred to Cape Helles for a renewed attack on Krithia and the hill known as Achi Baba. 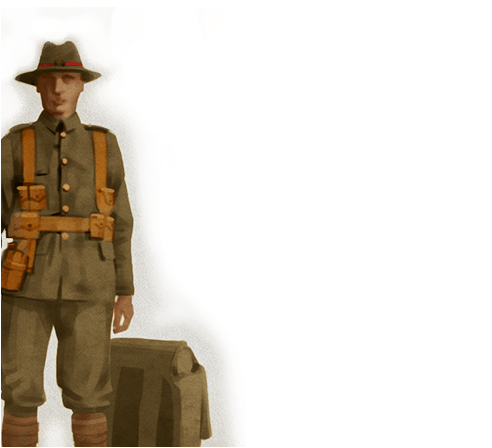 A few days later, Private Bayne was one of 25 men from his battalion reported missing. Military records confirmed his death on 4 September 1915, and his name is recorded on the Chunuk Bair Memorial. His body was never found. Wallingford was a rarity – a man in his element wherever bloody battle raged. The New Zealand Field Ambulance Commander worked tirelessly as the wounded and dying poured in. What was the fighting like? The terrain was rough, and the Ottoman soldiers frighteningly close. Who were the New Zealand soldiers? Young – and hungry for travel and adventure – they had no idea what lay ahead. At Gallipoli, rivalry between New Zealanders and Australians turned to respect. Try as they might, the Anzacs could never source enough water.